Time for another puzzle game. Today's app is another game published by Chillingo, the same company that published the original Angry Birds game, so they know a thing or two about creating good puzzle games on the iPhone. 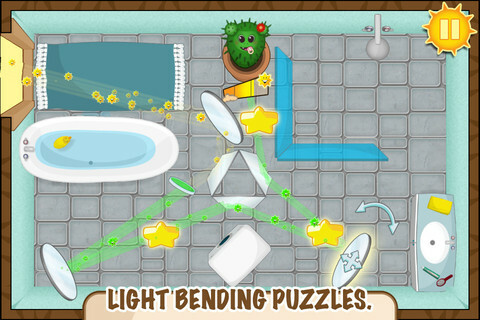 Light The Flower, like Angry Birds, is a really polished puzzle game, where each world is divided into different levels, ranging in complexity. The goal in Light The Flower is to direct the sunlight coming in from the windows to reach the plants in the room. 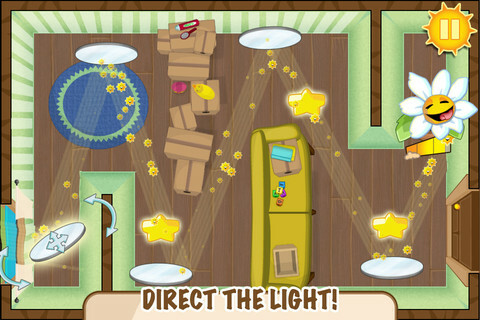 In each level you get several mirrors that you need to move around the room and rotate so that the light hits them and then bends in the direction you want it to go. 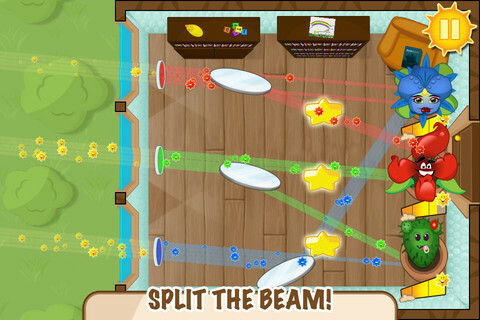 As levels increase you also get flashlights and light filters which change the color of the light beams (some plants need certain colors of light, not just regular yellow sunlight, so you have to pass the beam through a filter before it hits the plant). In addition, levels have several stars scattered around the room. If you manage to direct the light to hit the stars too, in addition to the plants, you get higher scores. Like in Angry Birds (and lots of other games recently, like Amazing Breaker), your ultimate goal (aside from completing the level by lighting up the flowers) is to get 3 stars on every level. The sound and graphics are really top-notch, as you'd expect from Chillingo. 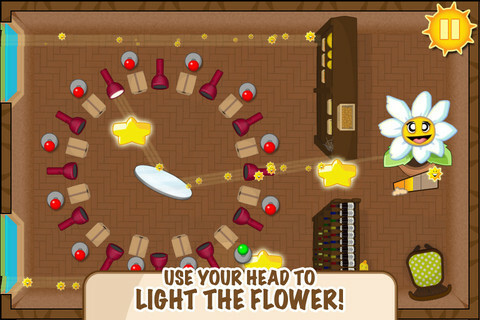 Light The Flower is $0.99 and is designed for both the iPhone and the iPad, so it's a great deal for that price.